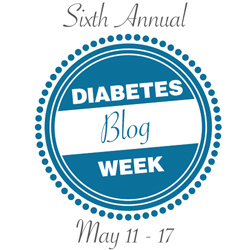 Welcome to the first day of the Sixth Annual Diabetes Blog Week. I’m thrilled to see many past participants signing up again. And I’m equally excited to see that there are so many new blogs are joining in for the first time. If you didn’t sign-up yet, it isn’t too late. The sign-up form and other information you need can be found in this post. Two weeks from tomorrow I will turn 47. And I am healthy. Several years back I wrote a little bit about my aunt who died of diabetes complications when I was in high school. I thought the things I saw her go through were the things my future would hold. I thought it didn’t really matter if I tried to manage diabetes or not. I remember laying in bed as a teenager and counting how many healthy years I had left. I figured it was less than ten. Definitely not 15. And now it’s been 30 years since I stared at the ceiling and counted the years I had left. I can dare to dream that at least another 30 are ahead of me. 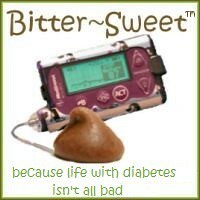 I feel very fortunate that, for whatever reason, my body seems to be holding up despite what diabetes does to it. I try to never take that for granted. Living with a chronic illness sometimes means the thing I’ve accomplished that I didn’t think I could is simply living. I can grow old. Here are more I Can - Monday 5/11 posts. Thank you for sharing this, Karen. I felt much of the same way growing up, even though I didn't have a situation in my life like that. But I was pre-programmed from that age of 5 to think "you WILL get complications," and "you CAN'T" do whatever it was I might want to do. And so that's what shaped me going into my teens, and led to a lot of hopelessness. But it's amazing how life went on, and now many of the things that couldn't be done or accomplished, are achieved. Here's to many more great years on this rock, and I'm so grateful to know you and be able to share some space online with great DOC friends. Thanks for writing this, and overall for bringing all of this together for D-Blog Week! As I grow older and my hair gets gray and my joints are creaky, I increasingly realize that growing old is a privilege. Enjoy the journey! Nice post. I too felt the same way growing up. My parents were told to take out a life insurance policy on me because they would have to pay for my funeral. I 'knew' I wasn't going to be on this earth very long. How awesome it is to have the opportunity to grow old, diabetes or not. I look forward to many more years on this earth!! Thanks for sharing, Karen. Lots of love! Great post, Karen! Here's to good health - despite diabetes! Let's grow old together! Wait, that sounds kinda creepy but you know what I mean. I'm gonna beat you to the "old" part, but I refuse to act like it. Thank you so much for all your hard work to make this week possible. I'm excited about blogging like I haven't been in quite some time! I love this post! And I'm glad you have many, many healthy years ahead of you. Hope I get to see you in July! Here is to the next 30 years! Aww happy early birthday!! It's so eye opening to me to hear about people that have had diabetes for a long time and how they thought they wouldn't have many years ahead. 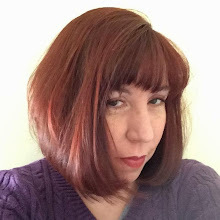 While, I was diagnosed almost 22 years ago, I was diagnosed young so I never thought I would have a limited number of years, or maybe I chose not to hear it. I'm glad that isn't the case these days with all of the advancements. As Kelly said above "Here is to another 30 years!" This month is my 40th Diaversary. Back in the stone age (early 80s) A specialist told me that the average post D life span was 40 years, I have now proven that old Czech Doc wrong, only got a little eye stuff. Great post. We'll ( me & AALOVESYARN) will be in your area in 3 weeks. I loved reading your 2011 post. I've never considered premature death as part of this thing. I guess I'm new. Also so focused on the day-to-day pick little details and test strips on the floor. Well, I think things have changed so much since I was diagnosed in 1979. So no, premature death is no longer a part of this thing. And that's a wonderful advancement!! Thank you for creating this blog week for all of us. Your post was wonderful and hit home on some issues I still deal with. Thank you for sharing! Thank you for adding so much life to this community, Karen. What a gift you are! Thanks, Karen! I had set a goal of adding a million life-years to diabetics around the world, but felt like I was standing in the middle of my living room shouting for all of them to listen, and begin to make positive changes. Sometimes, I don't like echoes. Don't ask how I tripped over your site, but I did last week, and grabbed this opportunity with both arms. Maybe the first preachings will go to the converted (who traverse such blogs with regularity), but at least I can see my way to helping humanoids, not just Google bots & spiders! A million thanks! 30 years is amazing! I have only 11 years in my belt so knowing that you have done 30 and are still in amazing health is inspiring. Thanks Karen!